of 50 steel cabooses build at that time. The Caboose served as home away from home for the train crew. a cupola or bay window, as is the case with our caboose. 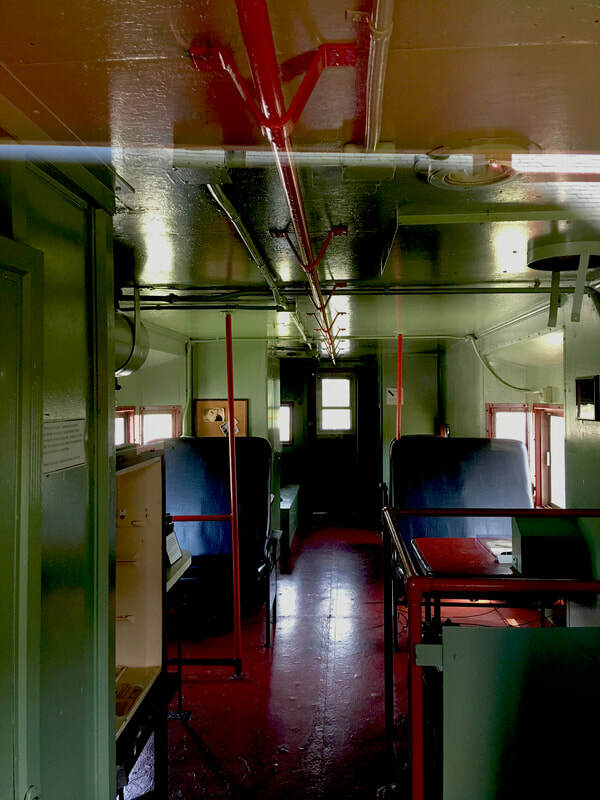 This modern caboose had a generator to make electricity for lighting, a stove for heating and for cooking, a rest room, and it even had a bunk so the crew could catch 40 winks during the trip. When the Nickel Plate Line was merged into the Norfolk & Western Railway in 1964 it was renumbered 557593 and painted blue with yellow lettering. 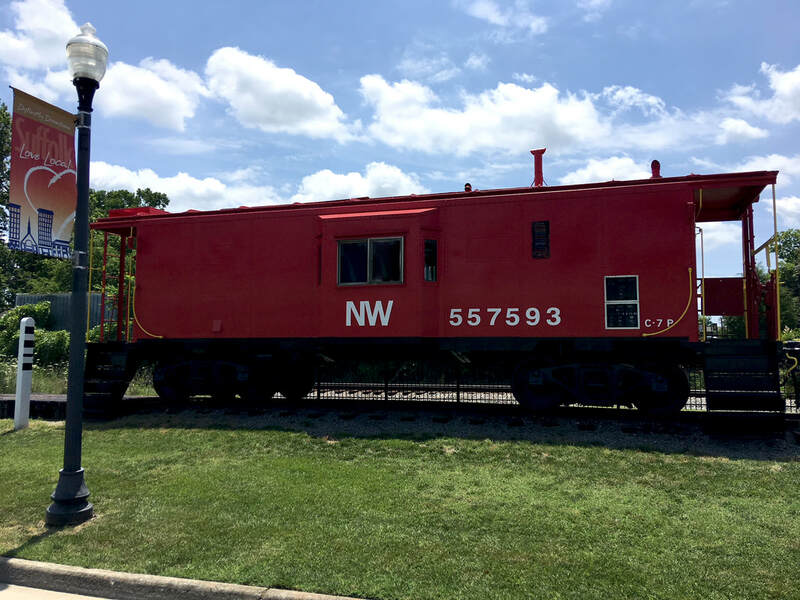 ​The caboose was painted red in 1980 and was removed from service in 1981. Mr. Arthur J. "Junie" Lancaster purchased the caboose and had it moved to Mike's Trainland and Lancaster Toy Museum on Shoulders Hill Road in Suffolk, Virginia. When Mikes Trainland went out of business, Mr. Lancaster's wife, Millie, donated the caboose to the Suffolk Seaboard Station Railroad Museum in 1999. It was moved to its current location in 2000. It was repainted and the interior refurbished as two Eagle Scout Projects by Christopher A. Taylor and W. Braxton Barnhill.